Download Instagram 2018 App Mockup PSD. 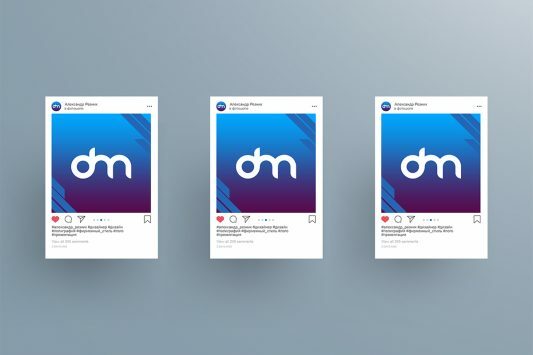 This is a 2018 version of Instagram feed mockup and Instagram User Profile mockup which you can use to see how your personal or client user profile and post will look after all the info and photos are added. 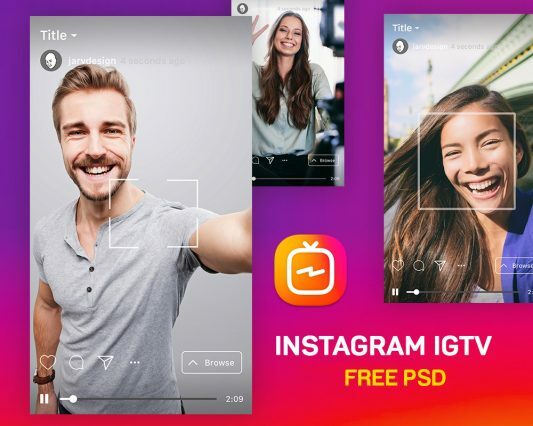 This Instagram 2018 App Mockup PSD is pixel perfect with properly grouped and layered elements. 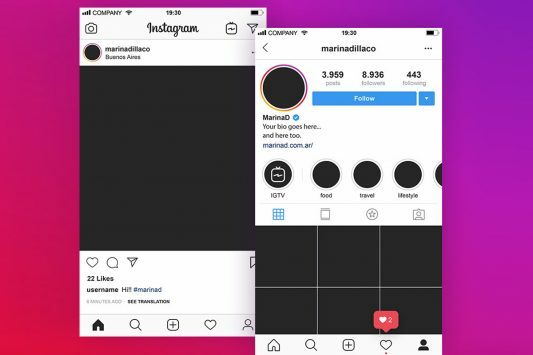 The designs are made from scratch according to the new instagram 2018 design standards. This Instagram 2018 App Mockup PSD freebie makes your work easier and it uses smart objects. Hope this Instagram Mockup Template will be helpful for showcasing your profile in best way possible. Enjoy! Download Perspective Website Mockup PSD. 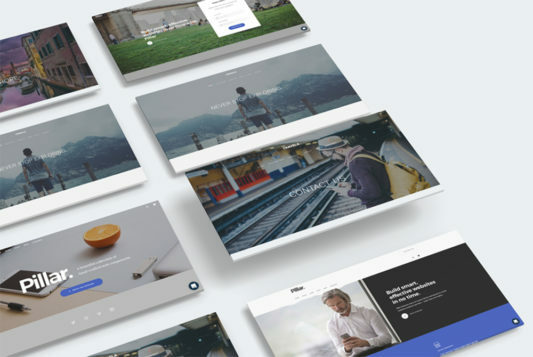 If you’re looking for a mockup to showcase your web designs in unique way, this Perspective Website Mockup is perfect for you. The great thing about presenting websites in perspective mockup is the ability to give your designs a unique 3D view. This Perspective website mockup will let you showcase your web design layouts from different angles and it will make your designs look like real products instead of just a simple static mockup. A really useful perspective website mockup design using Adobe Photoshop which you can use for displaying your web and mobile ui designs in a unique way. You can easily add your web designs templates using the smart objects in Photoshop. 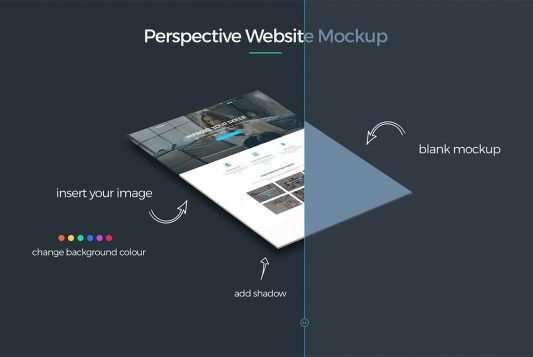 This perspective website mockup psd is fully layered and editable you can also adjust the shadow and background color. By changing the content of smart object with your design you will get your desired result in few seconds without worrying about placement and perspective. Hope you like this Perspective Website Mockup PSD. Enjoy! 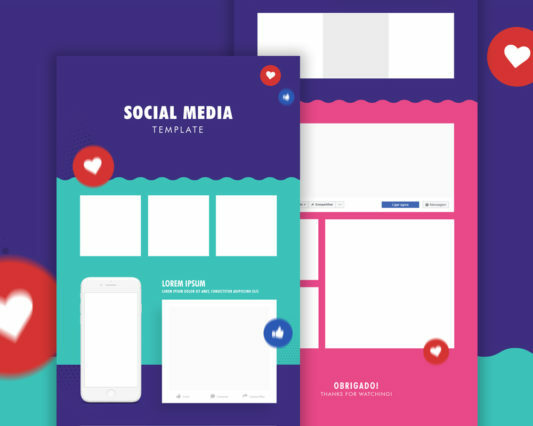 Download Social Media Template PSD. Here is a mockup which you can use to create your social media post template presentation. This Social Media Template PSD includes Facebook, Instagram Mockup PSD files. This is really useful Free Mockup PSD that you could use for presenting branded social post and elements and quickly turn around what a brand page on these social media website would look like. So download this Social Media Template PSD for free and use it in your next social media branding presntaions. Hope you like it. Enjoy! Download Facebook Post Mockup Templates PSD. 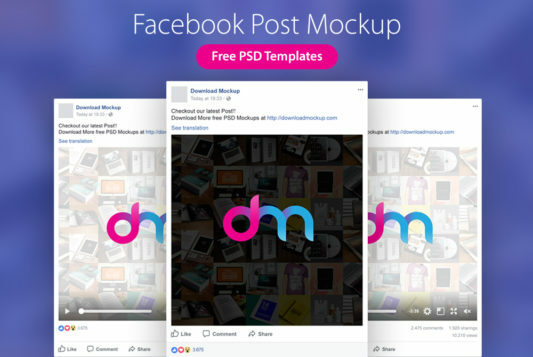 A Really useful Facebook post mockup so that you can preview and showcase how your facebook post design will exactly look like before posting on facebook page. This Facebook post preview mockup can be easily customized and you can edit post status, profile picture, likes, comments, and emoji reactions to give you an realistic look and feel. Feel free to use this Facebook Post Mockup Templates to present your facebook post design and give your design a professional look. 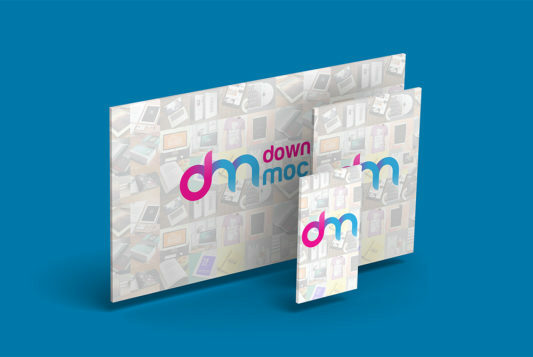 So Download this free Facebook Mockup, perfect for presenting your Facebook campaigns and designs. Hope you like it. Enjoy! Download Responsive Website Presentation Mockup Free PSD. A 3D website presentation Mockup PSD to showcase your web design in a creative way. In this Website presentation mockup template you will find mockup for desktop, Tablet and Phone Mockup. This website Presentation mockup psd will help you to showcase your website design elements in the modern style. There are also beautiful mockups you can use to display your responsive version for tablet and mobile applications. This website mockup psd is fully layered and editable with adjustable shadows and backgrounds. You can easily add your designs ui inside the smart objects in Adobe Photoshop. By changing the content of smart object with your design you will get your desired result in few seconds without worrying about placement and perspective. Hope you like this Responsive Website Presentation Mockup Free PSD. Enjoy! Download Website Template Perspective Mockup PSD. This website perspective mockup psd will help you to showcase your website design elements in the modern style. 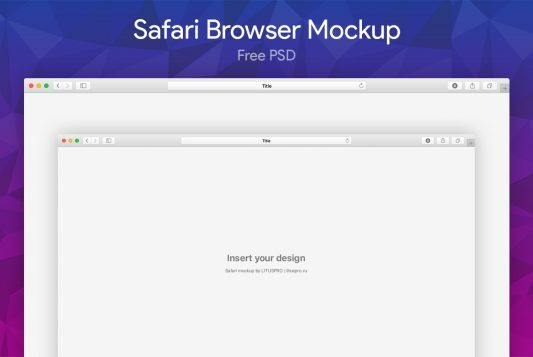 There are also beautiful mockup you can use to display your website templates. You can easily add your web designs templates using the smart objects in Photoshop. This website template perspective mockup psd is fully layered and editable with adjustable shadows and background. By changing the content of smart object with your design you will get your desired result in few seconds without worrying about placement and perspective. Hope you like it. Enjoy! Download Instagram 2017 Mockup Free PSD. A Set of Free Instagram post mockup and Profile mockup website 2017 version which you can use to see how your user profile and post will look like after all the info and photos are added. 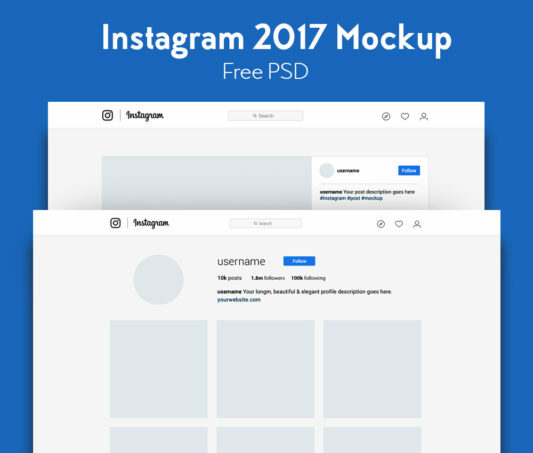 This New Instagram 2017 Mockup PSD Templates are pixel perfect with properly grouped and layered elements. The designs are made from scratch according to the new instagram 2017 design standards. This Instagram 2017 Mockup PSD freebie makes your work easier and it uses smart objects. Hope this Instagram Mockup Free PSD will be helpful for showcasing your profile in best way possible. Enjoy!